Hive has launched a bitcoin and litecoin wallet app for iOS devices, including the iPhone, iPad and iPod Touch. Called Hive Wallet, the app is free, takes up just 2MB of users’ precious memory and requires iOS 7.0 or later to run properly. The company says the app is optimised for the iPhone 5, which will also apply to the subsequent 5S and 5C models. The Hive app for iOS was listed on iTunes on 13th August and it is available in German and English language user interfaces. The company already has wallets available for Mac OS X and Android devices, as well as an online version. Following Apple’s controversial ban on cryptocurrency wallets in early 2014, Hive was busy developing a browser-run HTML 5 web wallet that would have circumvented the ruling. However, the change of policy at Apple in June allowed the company to develop this, its first app for iOS. The new iOS wallet looks rather like a hybrid of the HTML5 app and Hive’s Android equivalent, providing a clean user interface, but with a number of features neatly included without adding clutter. Notably, the wallet features support for both bitcoin and litecoin, with more cryptocurrencies said to be coming soon. 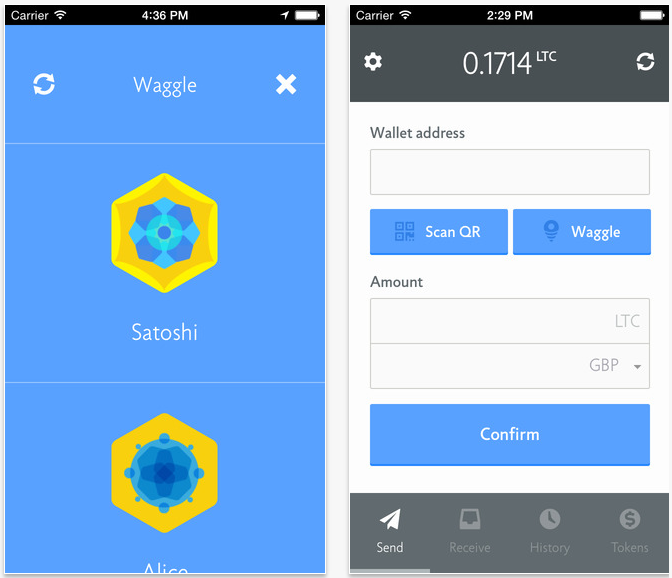 Like other Hive wallets, it also offers a geo-location feature called ‘Waggle’, which allows users to exchange funds with other nearby Hive users with ease. A native QR code scanner is on board, too. The new app is a hierarchical deterministic (HD) wallet and Hive says each transaction generates a new address in the BIP32 tree, “ensuring maximum privacy”. With HD wallets, a passphrase is used to generate the wallet, making it recoverable in the event of a lost PIN or corrupted hard drive, and which can be used across devices. Since Apple lifted its ban on wallet apps three months ago, we have witnessed an upsurge in mobile wallet development for the platform. Several familiar apps have now appeared in Apple’s walled garden, including the Blockchain wallet – the most popular wallet out there, with over two million downloads so far (across all platforms). Blockchain saw its original iOS wallet taken down by Apple in February. Coinbase still has not returned to the App Store, but has approved an unofficial app that launched late in June.